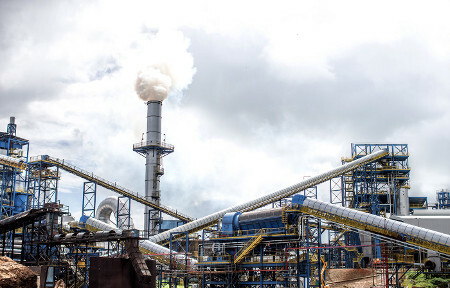 GranBio Investimentos SA is a Brazilian industrial biotech company that was born out of the vision of bringing about a green revolution through the construction of second-generation ethanol plants that will produce cheap, clean-burning biofuel from readily available biomass. Following its establishment in June 2011 by Gran Investimentos S.A., a holding company in which the Gradin family are the primary investors, the company built Bioflex 1, the first commercial second-generation ethanol plant in the Southern Hemisphere. Bioflex 1 started operation in early 2014 and is able to produce 82 million liters of biofuel per annum, making it one of the largest such facilities in the world. 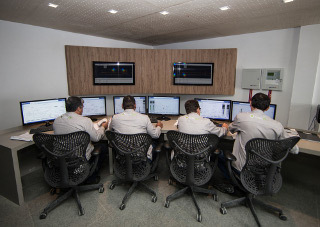 As the main automation contractor (MAC) for the Bioflex 1 project, Yokogawa South America was involved from the front end engineering design (FEED) stage, performing the basic design for a control system and field instrumentation solution that will reduce costs and improve production efficiency throughout the lifecycle of the plant. Yokogawa installed the CENTUM VP integrated production control system; the csTUNER control loop tuning software; the CENTUM VP Batch package to control the plant's pretreatment, enzymatic hydrolysis, fermentation, and distillation/separation units; field instruments including FOUNDATION™ fieldbus-enabled ADMAG AXF magnetic flowmeters, DPharp EJA series pressure/differential pressure transmitters, and control valves; and the Plant Resource Manager (PRM) asset management package. Yokogawa South America was responsible for product delivery, engineering, and operator training. Second-generation ethanol and other chemical products are produced from non-food agricultural materials and industry waste. The cost of producing biofuel with this method compares favorably to fossil fuels such as oil and natural gas, and it produces fewer greenhouse gases. The GranBio plant produces ethanol from energy cane, bagasse, and straw, all of which are readily available in Alagoas State. The raw materials used in this production process must first be pretreated to make the cellulose in the plant cell walls easier to break down with enzymes (hydrolysis) and solubilize hemicellulose sugars. The cellulose in the plant cell walls is in a matrix with other polymers, primarily hemicellulose and lignin, and the pretreatment of biomass with heat removes these polymers from the cellulose core. During the cooking process, great care must be taken to keep the biomass at a steady temperature. The pretreated cellulose fragments are then broken down using enzyme preparations to obtain double glucose molecules, which are then split into single glucose residues. In a fermentation reactor, these residues are converted to ethanol using microbes. Based on whichever raw materials are being processed, the pretreatment and fermentation settings have to be automatically selected and executed. All important parameters for these processes are preconfigured in the CENTUM VP Batch package. When an operator selects a recipe from the package menu, all of the preconfigured settings are automatically selected and downloaded to the individual controllers so that each sequence can be automatically started. 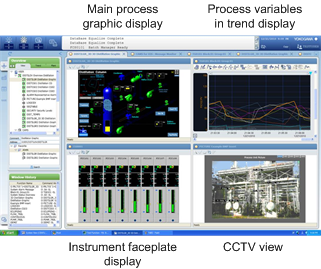 At a human machine interface (HMI) terminal, an operator can monitor the status of the reactions in ergonomically designed process graphic display, trend display, alarm summary display, and control display windows. When each batch operation is completed, the operation data are compiled for an automatically generated batch report (provided as a standard function). In these ways, the CENTUM VP Batch package improves productivity at GranBio. Many different field devices, including magnetic flowmeters, DPharp EJA series pressure/differential pressure transmitters, and control valves, are installed at this plant, and it has nearly 2,000 I/Os. Some of the devices are exposed to high temperature processes and other harsh conditions and/or are mounted in high, narrow, and other difficult to access locations. With the PRM asset management package, the health of these devices can be monitored from the central control room (CCR), eliminating the need for difficult and time consuming physical inspections. 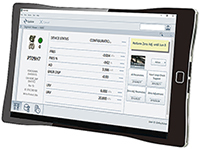 The PRM device navigation window displays the status of plant-wide assets with a Windows Explorer-like interface, enabling maintenance engineers to quickly identify devices that require online diagnosis. This is an especially valuable time-saving tool during plant start-up, when engineers and operators must check many loops and control valves. 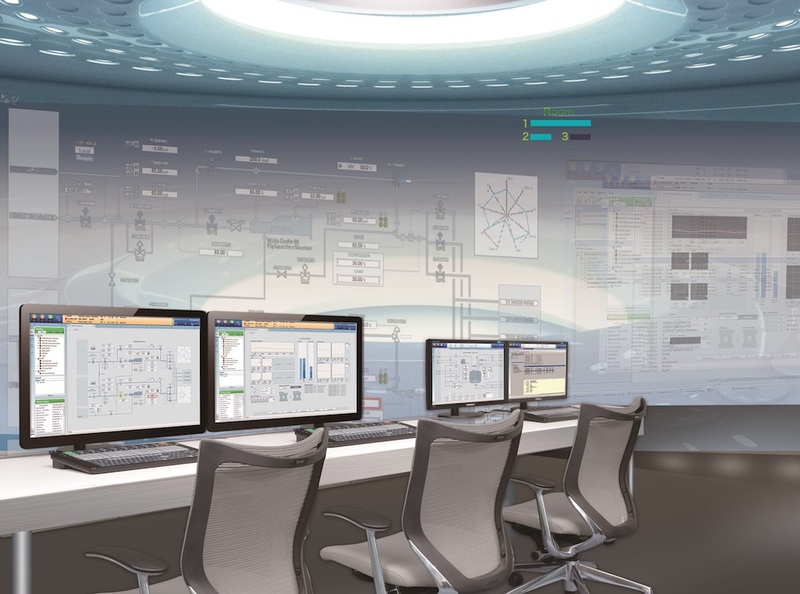 The centralization of the management of these plant assets ensures that maintenance information gets immediately to the right persons, depending on the type and criticality of the diagnostic data analysis. This changes the maintenance engineer workflow and enables a more proactive maintenance approach. 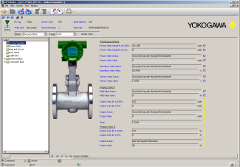 Other valuable tools provided by Yokogawa include FieldMate, which can be used from the CCR to set field device parameters, and csTUNER, which simplifies the task of tuning PID loops. With its ability to optimize tuning parameters and generate a tuning report, csTUNER is particularly useful during the plant start-up and commissioning phases, reducing the workload of both engineers and operators. The use of these tools helps to ensure that GranBio's operators and engineers are able to comfortably operate and keep this plant safe 24/7. 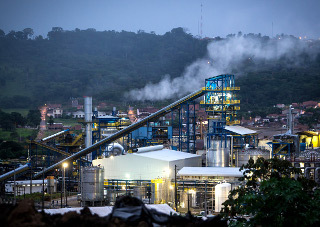 "Brazil is a dominant player in the bioethanol market. The biofuel market is steadily growing, and second-generation biofuel is attracting attention as an environmentally friendly energy source. We appreciate Yokogawa's modern and highly reliable control system and field instruments, and value their engineering capabilities, and believe we made the right decision to rely on them as the MAC for the construction of this large-scale commercial second-generation ethanol plant. As we were able to complete the basic specifications at an early stage and maintain consistency with all the specifications, this reduced the total cost of the control system and the instrumentation. We completed our project on schedule and on budget."